Book Corner: The Scribe’s Daughter by Stephanie Churchill – History… the interesting bits! 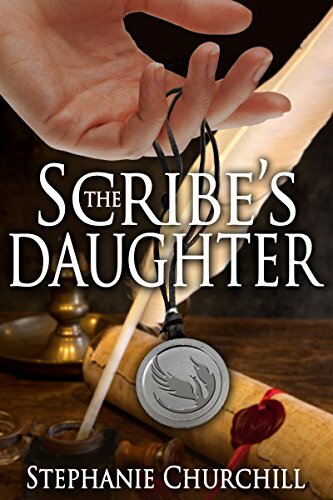 Today over at The Review, you can read my thoughts on Stephanie Churchill’s fantastic new debut novel, The Scribe’s Daughter, a fabulous adventure story that will leave you wanting more. And there’s a fabulous giveaway – two Kindle copies available to 2 lucky winners. My first thought after finishing The Scribe’s Daughter was ‘Wow!’ It is hard to believe this is a debut novel. It is so polished and intelligently written, having none of the naivety that can be found in, even, the best debut novels. I found myself picking up the book at any opportunity – every spare five minutes were spent in the world Stephanie Churchill has created. I was often reading late into the night, just to devour that little bit more of the story. The author draws you into her world, building cities, towns, palaces and swamps from her imagination and setting them down in a medieval atmosphere from which it is impossible for the reader to escape. The language, descriptive expertise, attention to detail and wonderful use of imagery helps to create a world that surrounds and embraces the reader. Pingback: Book Corner: The King’s Daughter by Stephanie Churchill – History… the interesting bits!